At this point, the only way you don't know about Snapchat is if you've been literally living under a rock. Even the most off-the-grid among us at least know that Snapchat is a mobile platform that allows users to share perishable photos and video with their friends and followers. A lot of the time (most of the time?) people just use the medium to share videos of their dog being cute or to broadcast the temperature to the ever-watchful internet; however, some artists have harnessed the power of Snapchat to engage their fans in a powerfully personal way. While consistent posting is always the number-one key to a strong following, there are a few tricks that can help give you an edge. Snapchat has a feature called Stories that allows users to string together a series of related or unrelated posts and broadcast them to their entire following. This is a great way to show fans a day in the life or the steps to any behind-the-scenes process, but you can even take it a step further. Use your Story to conduct a scavenger hunt for show tickets on tour or to host an impromptu meet-and-greet. Leave clues in your Story to inspire fans to take action in the moment – and to keep them coming back for more! Snapchat's biggest defining quality is that the media shared between users is perishable; it automatically deletes itself after it has been viewed. Videos shared also have a 10-second time limit. Use those 10 seconds wisely and tease out an early clip of a song or video. Even more interesting – slowly tease out an entire song or video in 10-second increments. Alternatively, use the photo feature to send out a flash of the album art or a new press photo. Since these clips automatically delete themselves, fans will be sure to keep coming back so they don't miss out. Like most artists, you probably find yourself on the road a lot. While your most dedicated fans are meticulously following your tour schedule, counting down the days until you play in their city, more casual fans might not be so diligent. Make it easy for them to find you, and announce when you arrive in a new place using Geofilters. Geofilters are essentially stickers you can apply to your photos and videos that are location-specific and typically advertise a city or neighborhood. These are especially useful on tour because they provide fans with day-by-day updates on your movements and day-of-show reminders when you're in their city. The brevity of Snapchat allows for a freedom that offers fans an unprecedented closeness to their favorite artists. It feels like a direct line of communication that peels back layers of media and put-on appearances and leaves something fun and honest. Building that bond with your fans leads to loyalty, dedication, and ultimately a stronger career. Go forth and get creative! 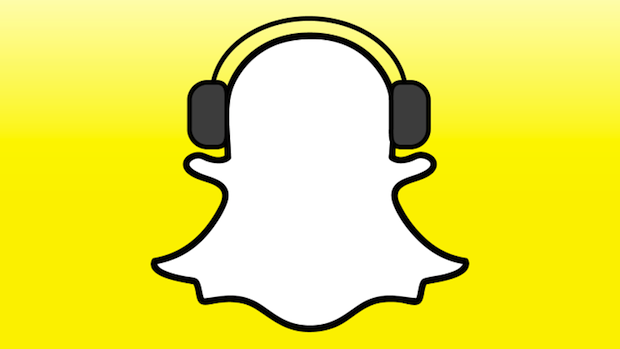 Get even more tips with the musician's guide to Snapchat! Heather Ellis is the manager of interactive marketing at The Orchard.